So, in this tutorial, we’re going to show you how you can get what you want. For this one we’re covering one of the most common needs of a website. 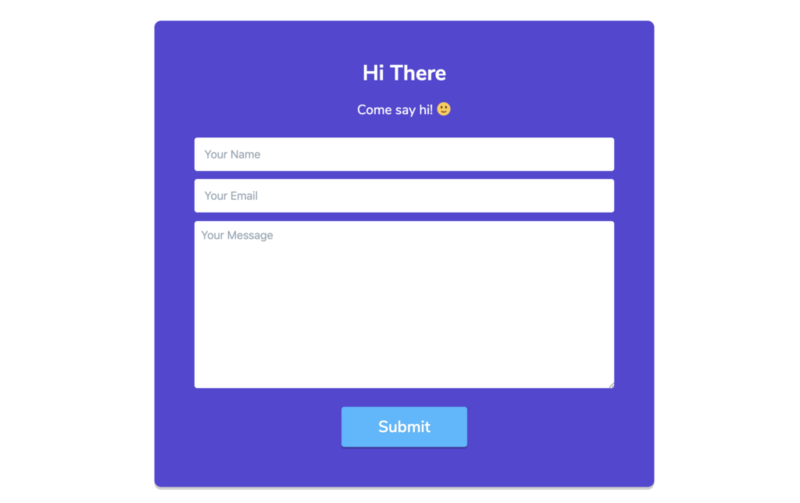 Custom forms. 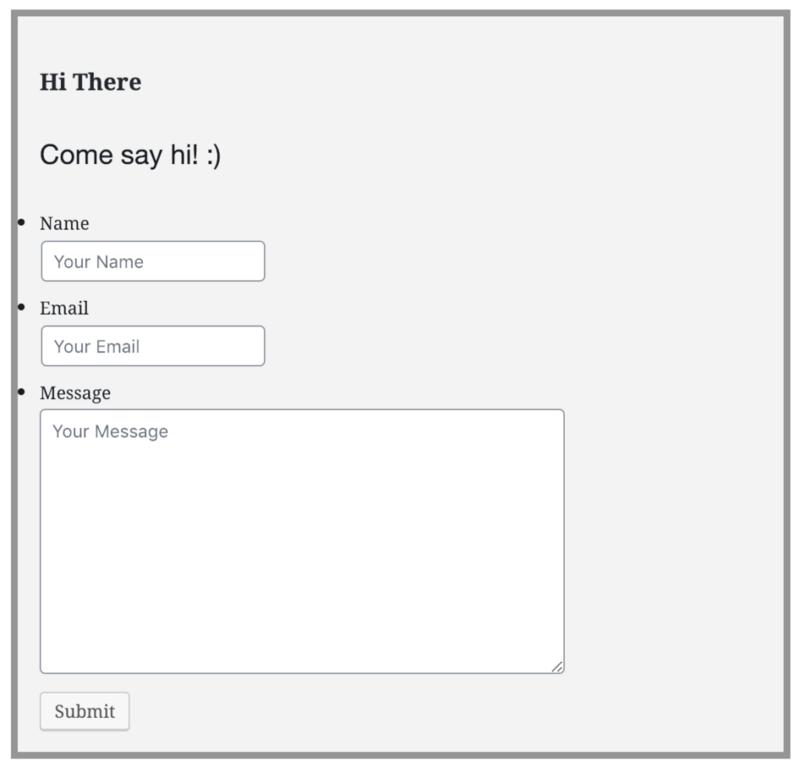 There are some great form plugins out there. Free and premium. 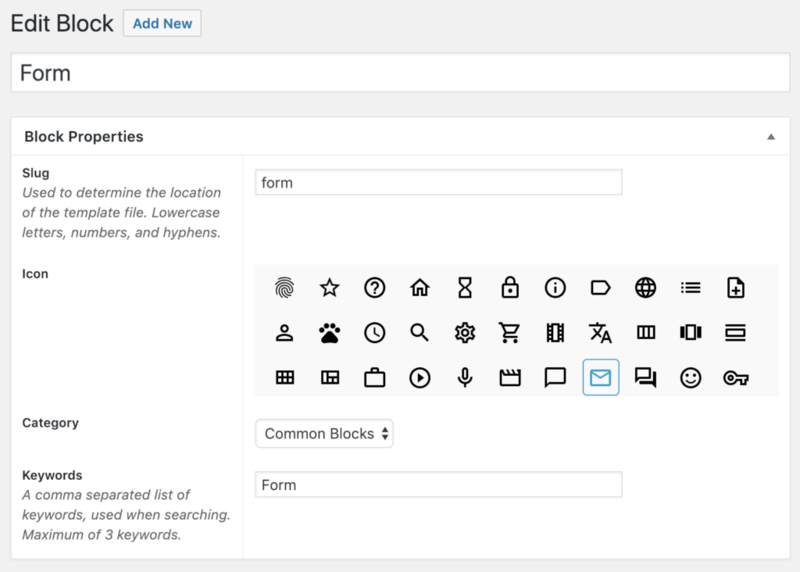 We’re going to show you how you can use your favourite form plugin and create a custom Gutenberg form block that works with it. Gravity Forms is the plugin of choice for this tutorial but the same process will work with nearly any of the others. TL;DR. In your block template use the gravity_form() function. 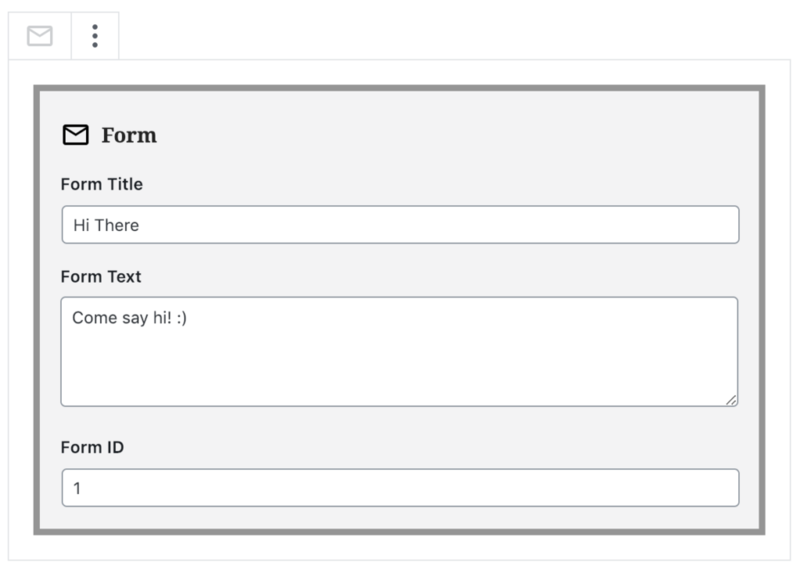 In your block add a text field so you can input your form ID. Our block will look like this by the end, but the key thing to learn from this tutorial is how we make the block interact with the form. For this step we’ll create our form using the Gravity Forms plugin. In our Gravity Forms settings (Forms > Settings), we’re going to turn off the CSS that the plugin outputs to the front end. This means when we write our own CSS it gives us full control over how the form will look. 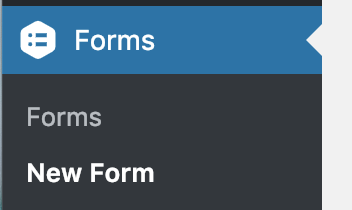 Now to create our form, in the WordPress Admin go to Forms > Add New. Call the new form “Contact”. We’re going to add 3 fields and give each some placeholder text. Hit Publish and take note of the Form ID. In this example, the generated ID is 1. Now we get to building our block. As far as fields go, that’s about as simple as it gets. Add all these fields to your block and hit Publish. Time to open a text editor. I use VSCode. 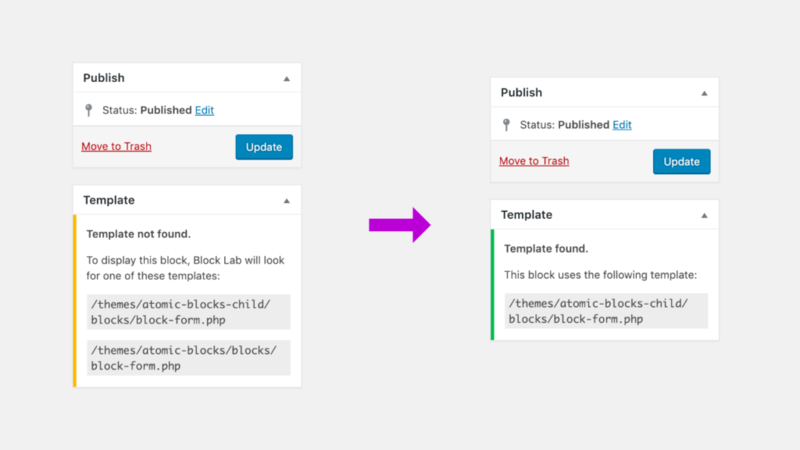 In our Block Building screen in the WP Admin, you’ll see over on the right that the plugin is looking for the block template file for the new block. As we’ve only just added it, it’s telling us it can’t find it. Helpfully it’s also telling us exactly what it’s looking for. Take note of the name block-form.php and open up your active theme files in your text editor. In this new folder, add a new file and type block-form.php as its file name. Hit save. Next step is to add the content of our block using Block Lab’s block_field function. Now we get to the crux of this whole tutorial. 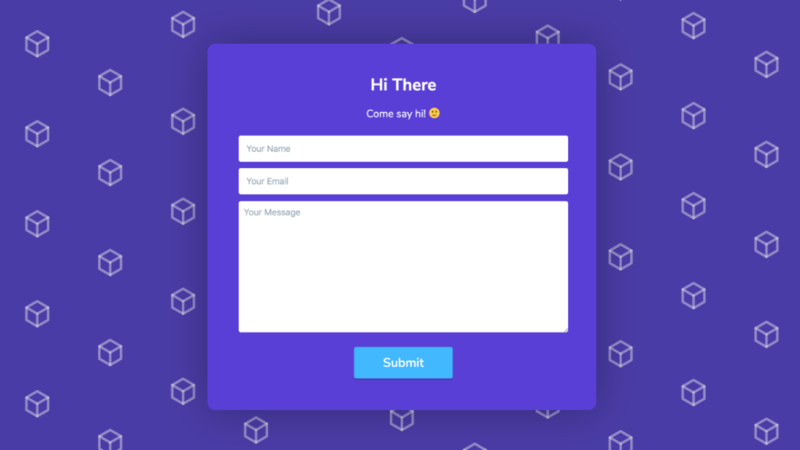 We use the gravity_form() function made available to us with the Gravity Forms plugin, alongside our form-id field to output the form in our custom block. We then call the gravity_form() function and set a few parameters. For the from ID parameter, we use our $form_id variable. The rest of the paramaters mean that the title and description will not be displayed, the form itself will not display if it is inactive, and it will not use AJAX for form submission. To read more about this Gravity Forms function, or embedding forms in general, check out the official docs. 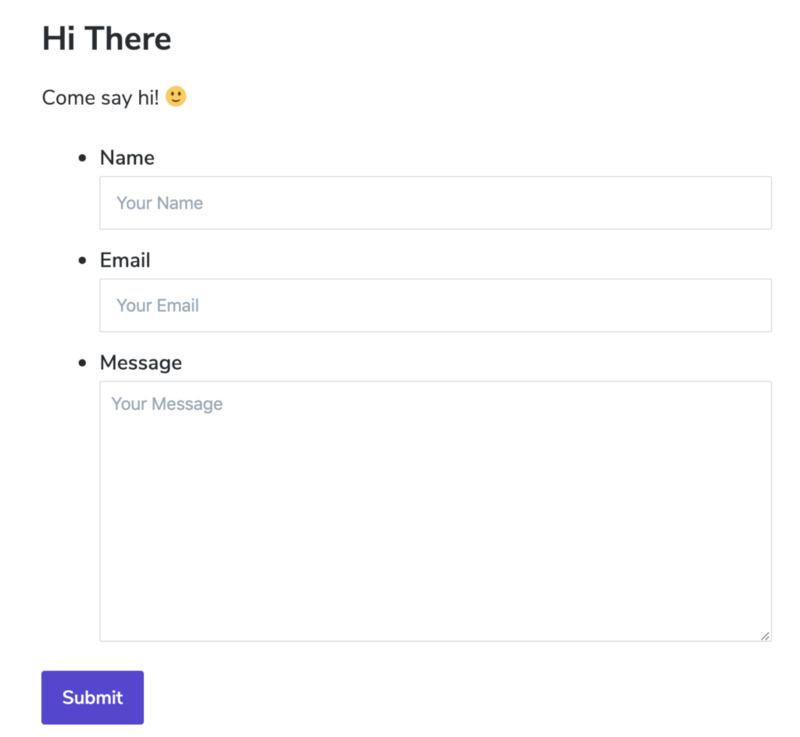 We now have a functioning custom form block that we can to add to a new post or page in WordPress and have it work in both the editor and frontend. In the WordPress admin, go to Pages > Add New. Now add a new block and look for our “Form” block. Add it to the page and fill in the fields. In the editor with the block selected. Click away from the block to view the preview. In the editor with the block deselected. And hit the Preview button at the top of the page to preview the form on the front end. We now have a fully functional form block. And that’s it! With our styling complete we get a custom Gutenberg block that can display a Gravity form and look just the way we like. ? Note that the styling didn’t carry 100% over to the editor screen, even though we had it included in the template file. This was because some styling from the Gravity Forms plugin was given priority in the editor. To get around this we just needed to add some further specificity to our CSS. If you’d like to learn more, check out the previous tutorial on building a custom Hero Block.